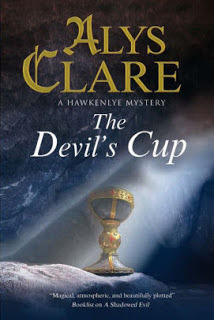 MY BOOK, THE MOVIE: Alys Clare's "The Devil's Cup"
Alys Clare lives in the English countryside, where her novels are set. She went to school in Tonbridge and later studied archaeology at the University of Kent. When I started the Hawkenlye Series seventeen books ago, I had a clear image of Josse d’Acquin in mind, and he looked very like the actor Robert Lindsay. As, like all of us, he’s matured and life’s experiences and trials show in his face, he goes on looking just as I imagine the older Josse, and I still think he’d be just right. For Helewise, who we first meet when she’s Abbess of Hawkenlye, I would cast the luminous Juliet Stevenson. I used to think that the severity of the medieval nun’s habit would become her very well, although by the time of The Devil’s Cup she is, of course, no longer a nun, so we wouldn’t get the chance to decide. I’d love to see Bill Nighy as Yves, Josse’s brother, having loved him as an actor ever since hearing him play the part of Sam Gamgee in the BBC Radio 4 production of The Lord of the Rings in 1981 (which I have on my iPod and still listen to regularly; there are scenes between Bill Nighy’s Sam and Ian Holmes’s Frodo that still move me to tears, even though I know them well enough to say the words with them). Robert Lindsay and Bill Nighy as my two d’Acquin brothers would do such a fine job of demonstrating the humour, the closeness and the love between the pair and would undoubtedly also move their audience to tears. Oh, and to play King John, I’d like Ray Winstone. 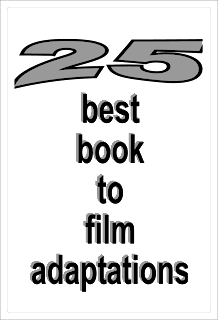 I’m not sufficiently knowledgeable to comment on who I would select as director, but I do listen to an awful lot of film (and TV) soundtrack, since I find it’s the perfect accompaniment to writing; somehow it makes the pictures I’m seeing in my mind as I work more vivid and real; more tangible, even. It’s hard to pick a favourite. Sometimes a composer seems to gel perfectly with one film whilst the marriage doesn’t work as well elsewhere (for example, Howard Shore was sublime with the Lord of the Rings trilogy but, in my view anyway, didn’t get it right with The Hobbit, although, given what was done to what was originally a beautiful and quite short children's story, it’s hard to see how anyone could). Ramin Djawadi has some brilliant moments with Game of Thrones; Hans Zimmer’s music and the mind-blowing Gladiator is a match made in heaven. Patrick Doyle gives the impression that he possesses singular insight into the scripts to which he is writing the music, and he has such a variety of moods, from Brave to Henry V via Harry Potter and the Goblet of Fire and Sense and Sensibility. He, I think, would be my choice to write the music score for The Devil’s Cup. Learn more about The Devil's Cup at the publisher's website. The Page 69 Test: The Devil's Cup.